Not Just the Army…Marines and the Navy in the Peninsular War under Wellington – and a possible Manx connection? I had one of those very odd little coincidences today which caused me to look at the role of not just the army but also the Marines and the Navy in the Peninsular War under Wellington. I’ve been thinking about a story, either a short story or a novella, associated with the Peninsular War books but possibly with a Manx connection. I already have a Manxman ready to pop up into the action when the time is right. It was always likely to happen. I don’t know much about Manxmen in the Napoleonic armies, but I do know the navy just loved them. It’s hard not to be good at the sea when you live on an island this small. The most famous of them, a certain Captain John Quilliam RN was a Royal Navy officer and the First Lieutenant on HMS Victory at the Battle of Trafalgar. But was it possible? Google came to my rescue, and with regard to naval promotion from being a pressed man, the first significant name to pop up was none other than my neighbour from up the road in Marown who was the son of a farmer, an apprentice stonemason until he was picked up by a press gang. 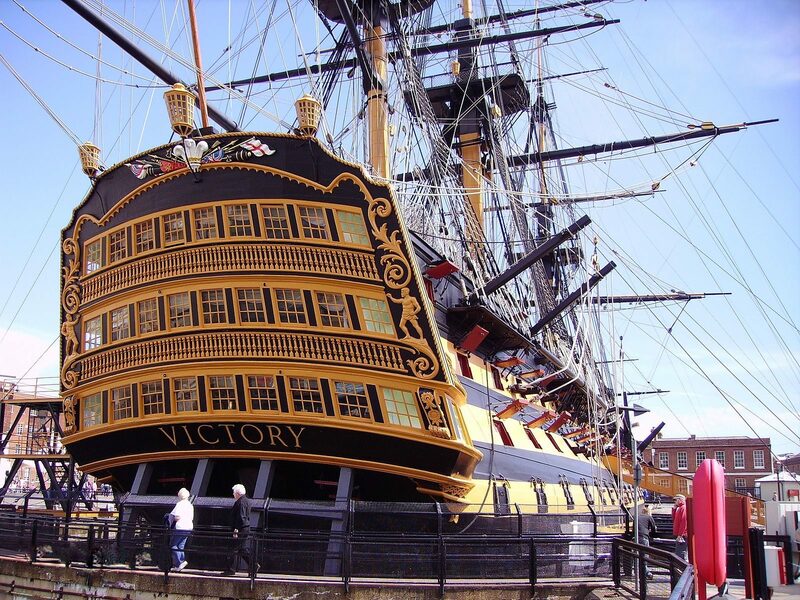 From those humble beginnings he rose to be first lieutenant on HMS Victory with a place in history. I could have hugged him. Suddenly, Petty Officer Paul van Daan was not only possible but highly likely. So when I came to thinking about a Manx connected story I naturally went back to Paul’s navy days. There were a lot of Manxmen in Nelson’s navy and it’s entirely likely that when Wellington asked for the navy and the marines to help with the defence of the Lines of Torres Vedras, one or two of them came along. I’d got my connection, and I’ve already come up with a name. Some research about their role comes next, and as I was working on that from my sickbed, I came across the following story, linked to a JustGiving page for a Royal Marines charity. During the Peninsular War (1810-1812) the Royal Navy, Royal Marines and Royal Marine Artillery were deployed in support of Wellington’s defence of the Lines of Torres Vedras. 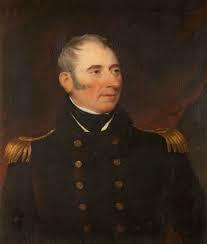 At Wellington’s request Vice Admiral Berkeley deployed ashore a naval brigade consisting of 500 seamen and 500 marines to guard the left bank of the Tagus, to provide the signalmen along the Lines of Torres Vedras and to provide Marine artillery. The main force worked in co-operation with the flotilla of naval ships in the North part of the River Tagus to ensure that the French troops could not out-flank the British lines and move on Lisbon, while Naval signalmen ensured that messages could pass along the 29 miles of the Lines in 7 minutes. Marines along with Artillery were landed on the 3 islands to the North in the Tagus where they worked with the British Army on the left bank and the Naval ships to stop French attempts to use the islands to cross. Later a large number of Marines were moved to Fort San Julien to provide protection for the deployment of maritime logistics to Wellington’s force ashore. This area was also the 3rd Line of Torres Vedras and is close to the current site of HQ Naval Striking and Support Forces NATO, STRIKFORNATO. When the Marines were finally returned to the UK in February 1812 the British General in charge of the Army in Lisbon wrote that he “cannot part with the Royal Marine Battalion without expressing the lively concern he feels in being deprived of their service, and requesting their acceptance of his best thanks for their uniform good conduct whilst in his garrison”. In recognition of this part of Naval and Royal Marine history, the four Royal Marines based in Portugal are aiming to complete a physical challenge that will start with a canoe to the Islands in the Tagus, to run around the Islands before returning to the left bank. They will then cycle along the first line of defence taking in the signal tower overlooking Wellington’s HQ where Naval signalmen worked before turning south and arriving at St Julian Fort a distance of 64 miles. This is part of the Royal Marines 1664 Global Challenge that will see Royal Marines around the world complete 100 challenges in 100 days, raising funds for wounded and injured Naval Service Marines and Sailors. It made me smile. The lines of Torres Vedras are unheard of to most people in the UK, even if they know a bit about the Peninsular Wars, although having visited them very recently in Portugal I’m aware of how crucial a part of modern Portuguese history they are. Somehow I love the idea that these guys are raising money for charity in the name of that little piece of obscure history. They aren’t going to get the recognition of the lads running around the UK and it doesn’t really matter since it all goes to the same cause, but I still somehow felt a connection. I made a donation because I wanted my name on that page. It has meaning for me. I’m going to start the story tomorrow, even though I ought to be working on my final revision of ‘An Unconventional Officer’. I love these little obscure bits of history which turn up in the oddest places. I hope you’re as interested as I am. And if you feel like making a donation, this is the link.